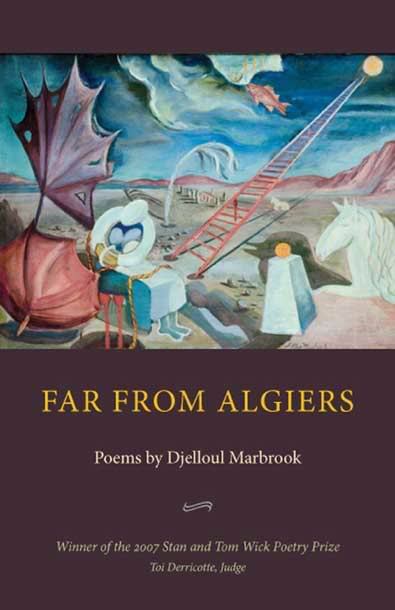 Today's book reviews discussion features New York writer Djelloul Marbrook, a poet and prose author who can also claim a long past in journalism (The Providence Journal, The Baltimore Sun, and The Washington Star, among others). I was first introduced to Djelloul when Atticus Books published his wonderful nonfiction story, "Sing to Me of Gangsters." Since then I've been impressed also with his running media critique on Facebook. Relentlessly and in real time, he shows how the stories we're fed are skewed by omission or distortion. Having him in my news feed has been an education even to someone who thinks she's hip to all that. When the New York Times story about book reviews for sale came out recently ("The Best Book Reviews Money Can Buy," August 25, 2012), Djelloul's comments led me to contact him for this interview series, The Art of the Book Review. He said in response to the article: "David Streitfeld [author of the Times story] knows perfectly well that money has always bought book reviews. What has changed is that the web has broadened the field and enabled us to challenge the gatekeepers, like himself. I don't challenge his essential premises, but what the story lacks is an admission that in one way or another, money has always called the shots. The Times, for example, is much more inclined to review a Big Six book than a small press book. The Times would say that a Big Six book has been vetted by a well-established gatekeeping process and therefore is more deserving of attention. But The Times knows damned well that if the small presses spent as much advertising money promoting and marketing books as the Big Six spends, The Times would not be able to ignore them. Money talks. And unless this kind of essay at least makes a passing reference to this truth it proves itself disingenuous, rather like the critic who decades ago avowed that all the books that deserve to be published are eventually published. The story would have served us all better if it had explored the ramifications of the web's challenge to the usual cultural gatekeepers, but gatekeepers never like to talk about the nature of their power. I argued for years as a newspaper editor that the best-seller lists belonged on business pages and not book review sections. It was always a humorous argument, because I knew and the publishers knew that the list is a business gauge, not a measure of merit. I suppose it doesn't much matter anymore, because there are fewer and fewer book review sections, and that is one of the writer's points. But there was and is a measure of dishonesty in presenting it as a measure of merit. The press has many arguments for copping out of this conclusion, but I think none of them hold much water." Karen: Tell us a bit about your involvement in print newspapers. How closely involved in book/review sections were you and in what role? Djelloul: I was Sunday editor of the Winston-Salem Journal and Sentinel from 1965 to 1969, which included assigning book reviews, editing them, and laying out the book review page. That is the only newspaper where I handled book reviews. 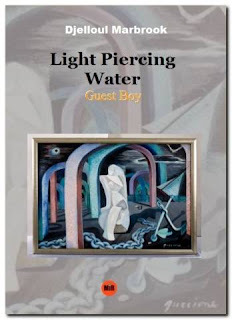 And since starting my blog some years ago I've reviewed a number of books, mostly poetry. They're at www.djelloulmarbrook.com under BOOK REVIEWS BY MARBROOK. I just added an appreciation of J.P. Dancing Bear's Family of Marsupial Centaurs. Karen: Newspapers continue to downsize their book review sections. What do you consider is lost when this happens? What will you/do you not miss? Djelloul: To address both questions, it's a tragedy of shrinking daily newspaper ad revenue and consequent cutbacks of news space and news staff. Newspaper book reviews continue to shrink and drop by the wayside. Responsible newspapers should review local authors at the very least, but local coverage of everything is getting more and more spotty. Newspapers could well do book reviewing online, but little of it is taking place as a result of falling ad revenue. I hope online groups like Salon and Slate, New York Review of Books and Rain Taxi continue to proliferate and take up the slack. But it isn't just shrinkage and the migration of media into cyberspace, there is also a heightened anti-intellectualism at work. We should not look back on the days of healthy book review sections as halcyon. They weren't. They involved a considerable degree of cynicism. They never reflected anything like the full spectrum of our intellectual and cultural life. They always reflected and were governed in their editorial decisions by the amount of advertising revenues made available to them by the major publishers. For that reason they marginalized the vital small press community, paying only occasional lip service. That is still true of what is left of the review community. I argued, albeit humorously, with my publisher in Winston-Salem that the best-seller lists rightly belonged in business sections, because they gauge the commercial life of a book and a publisher's hope for it and not a book's literary merit. Yet, deceitfully I think, review sections continue to present the list as a gauge of merit. I regard this as an ethical breach of faith, but I'm not naive enough after a career spent in the newspaper industry to think that ethics and ideals are paramount in the Fourth Estate. (Nor, for that matter, am I naive enough to think we still have much of a Fourth Estate.) So I think we shouldn't dwell on the loss of what was always imperfect but should rather inquire into how we might address these imperfections in the more hospitable arena of cyberspace. I write about contemporary poetry that I like to help redress not only the general marginalization of poetry but also the hyper-commercialization of our attitude towards reviewing it. I'm not alone in this project. I tell poetry audiences that poetry says more about the real news in our society than what we call the news and what I call the Theater of News. This is most dramatically true of rappers and hip-hoppers, but it's also broadly true of that body of contemporary poetry, which is not about shuffling of anecdotal material into the semblance of poetry. The poets and artists and musicians are telling it like it is. That can't be said of the Fourth Estate, which tells it like the politicians, oligarchs and pundits say it is. Karen: In some recent comments on Facebook, you address a sort of opaque hierarchy that you see in the publishing world, which is being carried over (in many cases) as we migrate from print to digital media. You say, “What bothers me most is the hypocrisy of repeatedly glossing over a cultural problem that we should be using our technology to redress. This is an exciting time, and instead of fighting a rearguard action to rationalize a dying model we should be exploring our new opportunities.” Can you tell us what excites you (especially in relation to publishing/the small press) about the digital age? Djelloul: Instead of defending the traditional models, which often leave many books to languish and be remaindered in three months, the big six publishers should be turning their best minds to promoting all their books more cleverly and making them widely available in digital form to students at discount prices. Speaking of students, one of the best applications for e-books is textbooks, which cost entirely too much. Textbook publishers are ripping off students who are already being exploited by exorbitant tuition and student loans. Other exciting applications include shop manuals, computer hardware and software documentation, language instruction, art history instruction--the opportunities are limited only by imagination. Ten years ago the most authoritative-sounding pundits were saying the e-book is passing fad and won't catch on. Today they sound like a former head of IBM who famously asked who would ever want a personal computer. They also sound to me like like a well known critic who once averred that all the books that deserve to be published are eventually published. That disingenuous defense of the dead-tree industry's way of doing things can't bear the scrutiny to which it has now been exposed in cyberspace. One problem is that people like this critic have gotten their piece of the pie from the old model, the old industry and its critical establishment, so they're naturally inclined to defend it. That's how they became gate-keepers, so they're defending their turf. I'm not, by the way, implying that the dead-tree industry is finished. I just like the implications of the term. I think we'll go on printing books, but we'll do it differently and what we print will change. Karen: Can you tell us what new opportunities you would like to see in terms of online book reviews? Djelloul: I'd like to see more book-reviewing bloggers offering their reviews to online publications and more online publications open to over-the-transom reviews. I wish I could propose business models. I'm sure they'll evolve. The cost of doing online business is operatically lower than the cost of the print industry. There is very little real estate involved, for one thing. And the cost of cyber-technology doesn't begin to compare to the astronomical costs of huge printing presses and their attendant labor. But a rear-guard action is being waged by the existing critical establishment, and some of it is justified. Not all bloggers, like myself, write in a manner and with sufficient intellectual cogency to warrant being published in The Paris Review or New York Review of Books, for example. But some of us do, and it's difficult to earn mass attention when the impression pervades our cultural thinking that only the only the old-line reviews are trustworthy guarantors of qualitative essay and review. This will change. It is changing; Rattle and Rain Taxi, to name only two online reviews, have considerable and well earned reputations. But in the meantime the new cyber writers are suffering a pooh-factor at the hands of the old guard, even though the old guard is itself migrating into cyberspace. In cyberspace the old guard must depend on the reputations their publishers enjoyed in print. That is as it should be, but they're now confronting a new generation of upstarts who understand cyberspace better than they do. 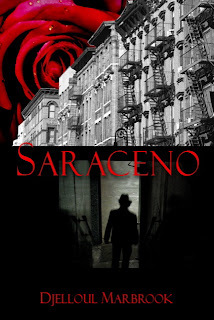 Karen: As an author, what is your own philosophy about reading reviews of your work? Djelloul: I read all reviews of my work—a division of Marines couldn't stop me. Anyone who has taken the time to read my book deserves my attention. But I have a thin skin. Fortunately for me I have earned the attention of some reviewers—I'm thinking of Susanna Roxman in particular—who have opened my eyes to a great deal in my own work. I myself do not write negative reviews. I'm too old to bother with them. I've seen too much exhibitionism in negative reviews to have much tolerance for them. I write about poets I admire. I try to point out aspects of their work that might be overlooked, particularly in short reviews. I'm a celebrant. I couldn't write a Randall Jarrell-style review if I tried, not because I haven't the scholarship, but because I haven't the stomach for it. I don't like talking about what I don't like. But I' not trying to make a living from my opinions. And I have no desire to assert myself in a world I'm soon to leave. Karen: Do we all need to develop “a thick skin” and then move on? Djelloul: A thick skin? A reviewer who has obviously read only a few pages and then makes some snippy comments showing no feeling for language--I still remember that reviewer, and not fondly. But she showed her lack of professionalism. And I moved on, as we all must. Karen: Is reading reviews of our own books an activity that is necessary, irrelevant, dangerous, or potentially helpful to a writer? Djelloul: Reading our reviews is necessary and potentially helpful. It's always interesting and often surprising and gratifying to me to see what a fresh eye has made of my work. As a reviewer and editor, I have no use for negative reviews. People want to see recommendations of what to read. I'd be happy to lend my wife to cheer up any writer who is despondent about a bad review. She says if they don't get you, to hell with them, they're not worth any of your energy. Karen: Where do you think reviews live in the psychology of an author and where should they live? Djelloul: I can only speak for myself as to where reviews live in the psychology of a writer. I don't dwell much on reviews because I'm always moving on to write new things, which I recommend to everyone. I do think some writers probably shouldn't read reviews of their own work if it knocks the wind out of them. I'd rather see them write their next poem or story. I admire such writers. I remember reading Nabokov's letters and laughing at his contempt for both critics and editors. But I'm not Nabokov. I reserve my contempt solely for meanness, of which there's plenty.